The Wizarding World of Harry Potter (which consists of both Hogsmeade and Diagon Alley) has been successful beyond even the most optimistic of expectations. 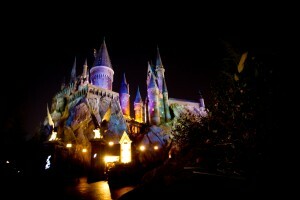 While this is certainly good news for Universal and Potter fans, it creates a bit of a dilemma for everyday guests. 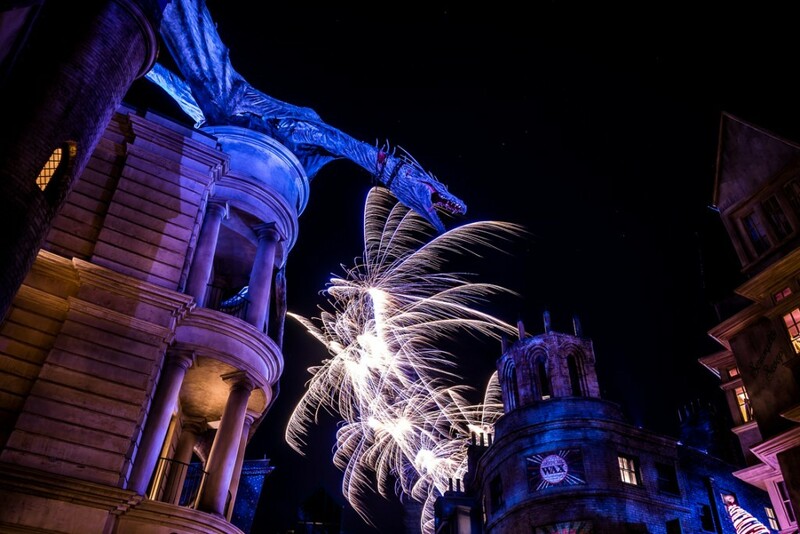 With this in mind, let us share a few ideas for beating the crowds at the Wizarding World. Universal’s flagship resort, Portofino Bay is usually the highest-priced hotel but has the largest rooms and most amenities. It’s also somewhat removed from the noise of the theme parks. Learn more about this hotel. 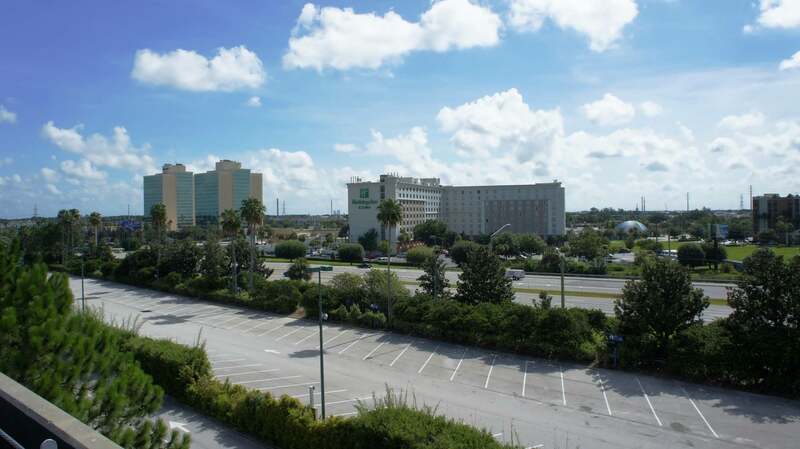 The most popular on-site hotel sits right next to Universal Studios Florida. It has a killer pool area. Learn more about this hotel. Often the least-expensive “luxury” on-site hotel, Royal Pacific is closest to Islands of Adventure and features a luau Saturday nights. It is very popular for first-time Universal visitors. Learn more about this hotel. This sister hotel to Royal Pacific is Universal’s newest venue. It boasts a similar tropical feel and daily rum tastings. Learn more about this hotel. 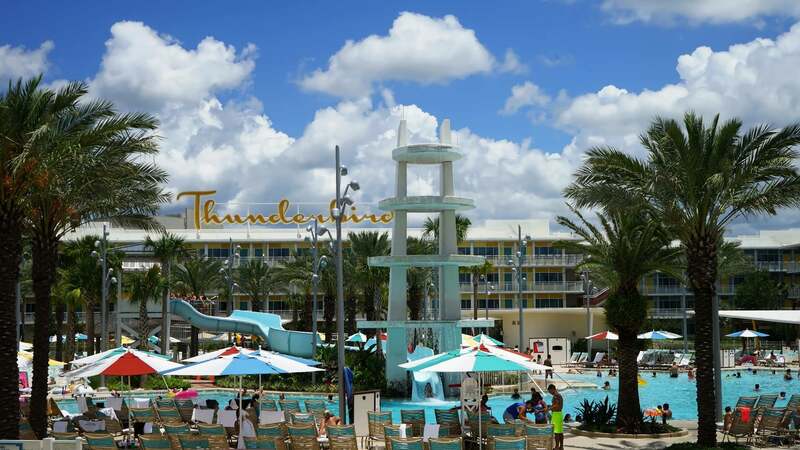 This is Universal’s value property, offering the lowest on-site rates and also – a first for the resort – family suites that sleep up to six people and include a kitchenette. Learn more about this hotel. Keep in mind that EPA is available for your check-in and check-out days, as well as every day in between (please note that paid admission to the parks is required). So, if you just want to get a hotel for one night, you can get into Harry’s wondrous world an hour early twice – and, thus, beat the crowds twice. Need help figuring out which on-site hotel is the best fit for you? If you can’t stay on-site, book an Universal Orlando vacation package. Whether you select the Exclusive Harry Potter package or any other, you will get Early Park Admission – it’s a benefit for them all. A vacation package, in its simplest form, just needs to be hotel accommodations and theme park tickets. Yes, in most cases, you’ll have to buy these two components, anyway, but doing it as an Universal vacation package will get you into the gates an hour early. Now that Universal has more than 40 partner hotels off-site, from the Holiday Inn all the way up to the Ritz-Carlton, they’re bound to have something that will fit your budget. For some guidance on picking a hotel, see our list of partner hotels within walking distance of the parks. To learn more about Universal vacation packages, view our complete insider’s guide. Again, keep in mind that Early Park Admission is available for your check-in and check-out days, as well as every day in between (please note that paid admission to the parks is required). So, if you just want to get a hotel for one night, you can get into The Wizarding World of Harry Potter an hour early twice. Think of it this way: if you book a vacation package including a room at Fairfield Inn for one night, the room itself will cost you about $70. Add to that the admission tickets you were going to buy, anyway, and you just got yourself two hours of limited crowds, with often direct walk-on or -in access to the shops and attractions at Hogsmeade and/or Diagon Alley, basically for $70. That may not be worth it for some, but it may be absolutely worth it for others – it simply depends on your tolerance of crowds. If you can’t stay on-site or book a vacation package, plan on getting to Universal early and staying late. 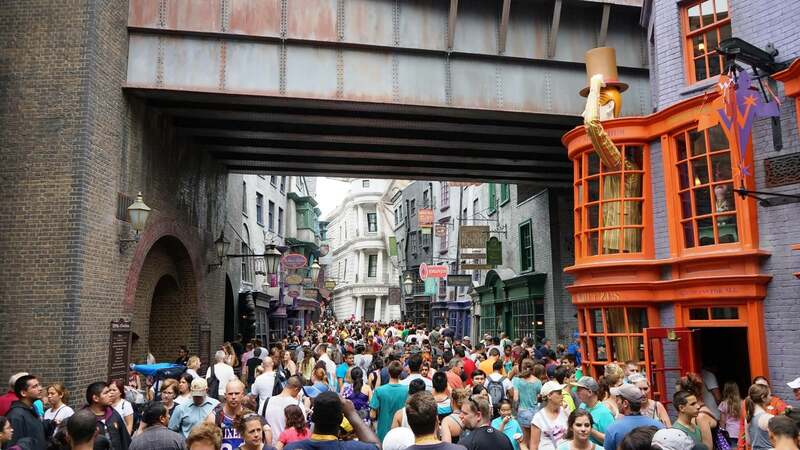 Realize that, given the nature of the shops and attractions inside the Wizarding World, it doesn’t take very many people for it to seem crowded. That is why, to beat the crowds, you need to go to the parks during the non-peak times – first thing in the morning and last thing at night (because most people go to the parks from around 10:00 am to 3:00 pm). This one isn’t as much of a guarantee as our first two points because Diagon Alley and Hogsmeade can get very busy very early. But we can guarantee that the area will be less crowded at the beginning and end of the day than in the middle of it! If you’d like to see more pictures of the Wizarding World at night, check out the photo gallery at the bottom of the page! Throughout the year, Universal hosts concerts at its Music Plaza at Universal Studios Florida. Since these concerts are almost always included with admission to the park, and the acts they bring in are usually very well-known, the concerts tend to draw the crowds. So, guess what areas of Universal Orlando tend to clear out when there is a “free” concert? Yep – The Wizarding World of Harry Potter. That’s why it is a great idea to visit our crowd calendar page to learn when concerts are happening at Universal Studios Florida. You may just be lucky enough to have your travel plans fall over one of the concert dates. And as long as it isn’t your favorite artist who is scheduled to perform, you can plan on beating the crowds by heading to Hogsmeade or Diagon Alley that evening. Now that you have completed this page, it would be a good idea to continue on to how to ensure your trip to the Wizarding World is a success!